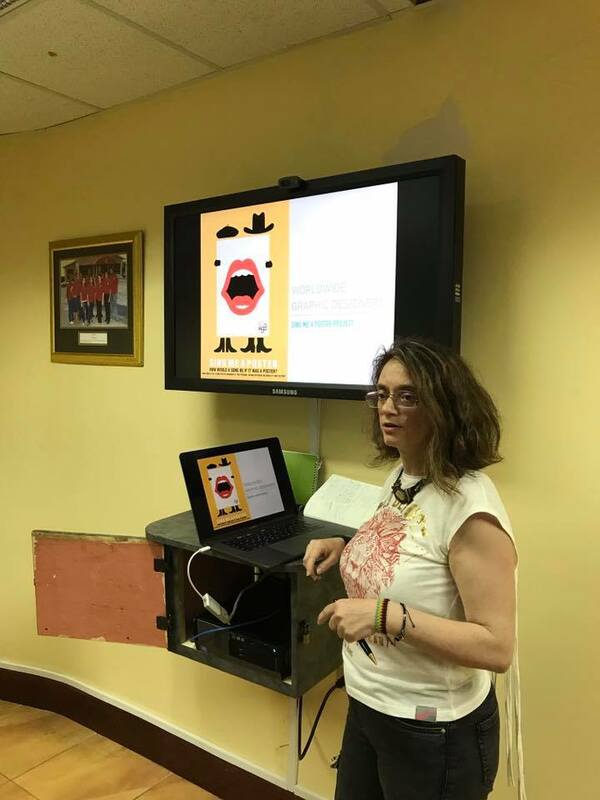 It's Just Me Maria Papaefstathiou / Lectures / UWI GOES GREEK! AS MBJ Airport GOES REGGAE! UWI GOES GREEK! AS MBJ Airport GOES REGGAE! 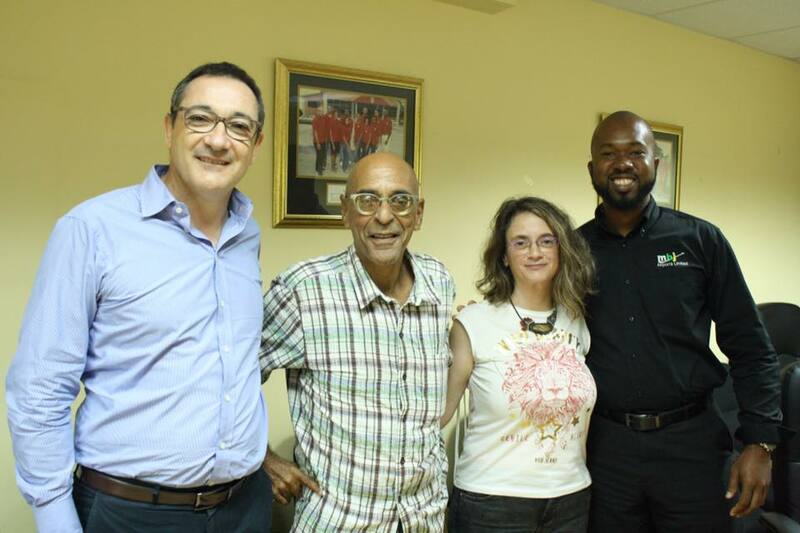 On Monday May 8, 2017, The University of the West Indies, Mona-Western Jamaica Campus was host to Greek Visual Artist and Blogger Maria Papaefstathiou under the auspices of Sangster International’s MBJ Airports Ltd. The talk served as part career retrospective and part call to arms for Caribbean creatives in general, and Jamaican designers specifically, to raise the bar in quality and quantity of output. Papaefstathiou, Co-Founder of The International Reggae Poster Contest, shared her artistic journey with CARIMAC students, offered her mentorship and unveiled plans for a exhibition of the Finalists in this years International Reggae Poster Contest on the grounds of Sangster International Airport. Centering Jamaica’s cultural influence on her art and the world, the world re-known designer and activist encouraged the participants to “look outside their worlds” and venture further into design by using the contest and similar outlets. Speaking at the event, MBJ Airports Ltd., C.E.O Dr. Rafael Echevarne and Assistant Commercial Manager Audley Giles challenged the students to help lift the quality of merchandise offered in airport shops to offer a greater variety to visitors and shoppers. They highlighted that the event is the first public event in an ongoing engagement between MBJ Airports Inc. and U.W.I WJC seeking stronger links between the two institutions and the Western region. The Campus was represented by lecturer Tony Thompson and students taken from the Digital Media Production and Integrated Marketing and Communications Students. 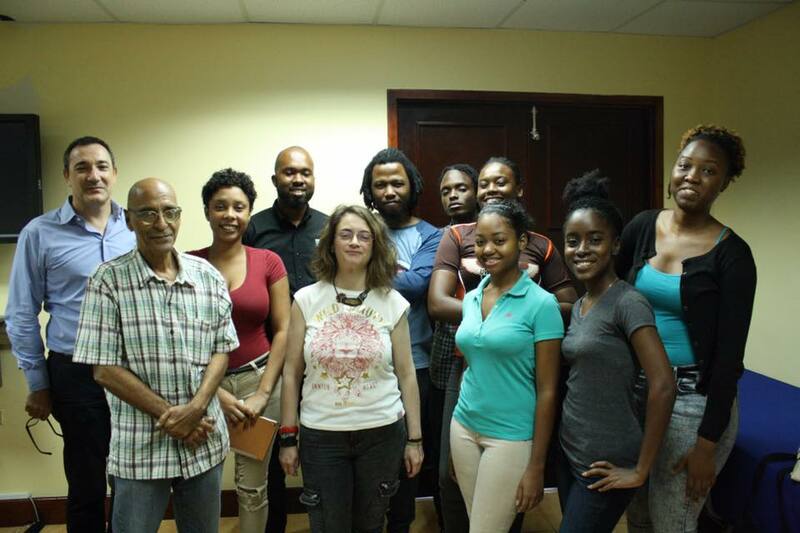 Meeting with UWI, WJC students from Integrated Marketing Communications and Digital Media Production.